We are the leading manufacturers of Magnetic Gauss Meters that are fabricated from quality raw material. These products are designed for use in industrial, commercial and research environments providing an easy to use magnetic measuring system for general purpose measurement of magnetic devices and systems. Available in various specifications, Gaussmeters suitable for measurement of magnetic flux densities. We offer a wide range of Gaussmeters Probe. 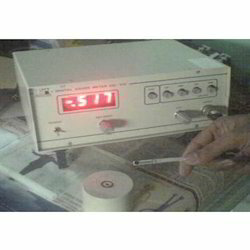 The Ferrites India make Magnetic Gaussmeter with the help of Hall Probe as a detector. These gaussmeters are very good for Laboratory, Industry and field studies. They are made handy, sturdy and are capable of giving correct results under hostile conditions. As the inherent property of digital readout, the instrument has quick response to varying fields, good readability and good accuracy of measurement. 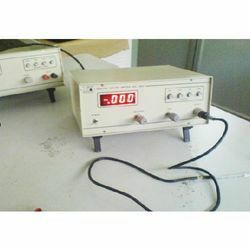 It therefore can make visible small and fast variations in magnetic fields which are not possible on an Analog Gaussmeter. The Ferrites India make Gaussmeters with the help of Hall Probe as a detector. These gaussmeters are very good for Laboratory, Industry and field studies. They are made handy, sturdy and are capable of giving correct results under hostile conditions. As the inherent property of digital readout, the instrument has quick response to varying fields, good readability and good accuracy of measurement. It therefore can make visible small and fast variations in magnetic fields which are not possible on an Analog Gaussmeter. 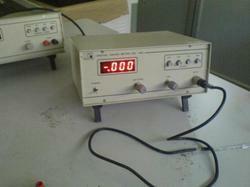 Looking for Magnetic Gauss Meter ?